I will help you make the transition to one of our wonderful communities in the Treasure Valley. I have been a Realtor in the Treasure Valley for 28 years. I bring an acute knowledge of the Real Estate industry to each of my clients. My ability to understand client’s needs and communicate with them throughout the extensive process of buying and selling real estate place my services in high demand. I have an ongoing commitment to my chosen profession, continually updating my real estate education. I am a continuous member of the Top Producers Club in the Treasure Valley and am one of the top agents in the company. I have a unique ability to work with any type of home buyer, from first time to seasoned purchaser, by listening to their needs, quickly locating the property of their choice, thus saving time and avoiding needless frustration. I skillfully guide buyers to the right lender that's suited to their individual lending needs and complete the process by arranging for an experienced closing agent at service oriented title companies. In short, I help all my clients through the entire transaction and do not leave them stranded. When listing your property, I will not only list the property, I will also find qualified buyers. I will walk through your home and give you my professional opinion to help you prepare for the sale. Through my efforts, I will help rid you of the uncertainties of repeated showings to unqualified or uncommitted buyers, and expedite the selling process quickly and smoothly. 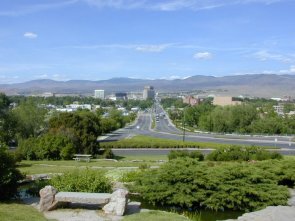 Although I have lived in the Treasure Valley for 29 years, I have moved my personal residence seven times and do understand the effort that goes into preparing your home for sale, along with the anxiety and the joy of moving into your new home. I came to this country fifty years ago with very little and have enjoyed the success that America provides for the self-motivated. I did it through care, hard work, diligence, and a sincere desire to provide excellent service to all my clients. Welcome to my website and Boise Idaho. I will help you make the transition to one of our wonderful communities in the Treasure Valley. I have been a Realtor in the Treasure Valley for 28 years. I bring an acute knowledge of the Real Estate industry to each of my clients. My ability to understand client’s needs and communicate with them throughout the extensive process of buying and selling real estate place my services in high demand. I have an ongoing commitment to my chosen profession, continually updating my real estate education. I am a continuous member of the Top Producers Club in the Treasure Valley and am one of the top agents in the company. I have a unique ability to work with any type of home buyer, from first time to seasoned purchaser, by listening to their needs, quickly locating the property of their choice, thus saving time and avoiding needless frustration. I skillfully guide buyers to the right lender that's suited to their individual lending needs and complete the process by arranging for an experienced closing agent at service oriented title companies. In short, I help all my clients through the entire transaction and do not leave them stranded. 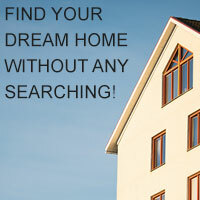 When listing your property, I will not only list the property, I will also find qualified buyers. I will walk through your home and give you my professional opinion to help you prepare for the sale. Through my efforts, I will help rid you of the uncertainties of repeated showings to unqualified or uncommitted buyers, and expedite the selling process quickly and smoothly. Although I have lived in the Treasure Valley for 29 years, I have moved my personal residence seven times and do understand the effort that goes into preparing your home for sale, along with the anxiety and the joy of moving into your new home. I came to this country fifty years ago with very little and have enjoyed the success that America provides for the self-motivated. I did it through care, hard work, diligence, and a sincere desire to provide excellent service to all my clients.